Muscle anatomy - what is the structure of a muscle? 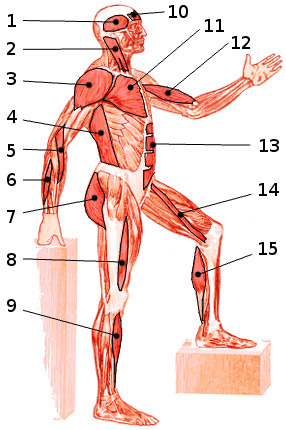 1 - the body : Can you identify the muscles of the body? 5 - the body, lateral : Can you name the muscles of the body from the side? 6 - the head and neck : How about the muscles of the head and neck? 8 - head and neck, actions : Do you know the actions of the head and neck muscles?